I have written over a hundred essays about dancing with death. In addition, I want to talk to someone about his or her own dance and compare our reactions. I am fully aware that my clock is ticking due to doing the dance. Social Security uses actuarial estimates on how long people will live. They say that the average male born on January 20, 1943 will live 12.7 additional years. That seems really close to today, my 75th birthday will be tomorrow. 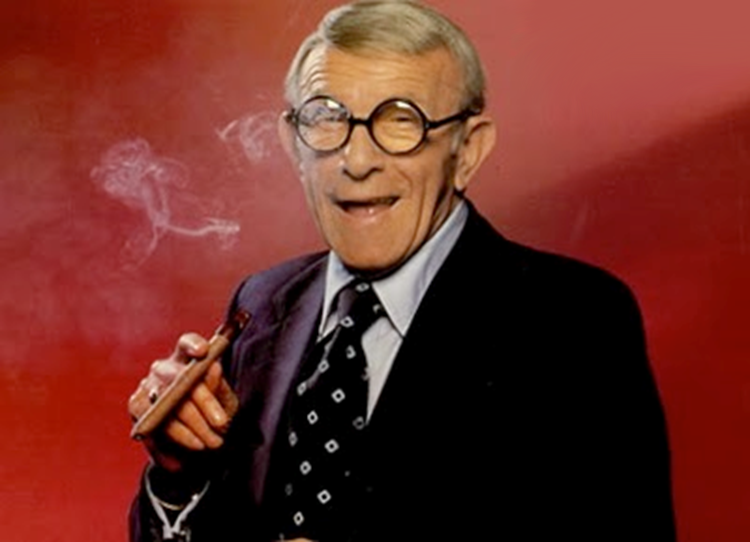 Social Security isn’t aware of this item; I plan to surpass George Burns, who lived a couple of months beyond his 100th birthday. George and I share the same day and month, January 20th, but he was born in 1896, which was almost a half century before I was born. Therefore, you can understand both my drive to live a couple of months beyond tomorrow in the year 2043. While I am certain of my birth date, my actual death-date hasn’t been determined yet. While the Burns/Campbell longevity contest is personally exciting to me, no one else in the world cares. It pales in comparison to the longevity issue of Betelgeuse, which is phonetically pronounced Beetlejuice, as in the name of the movie in the late 80s. If you don’t know who Betelgeuse is, it isn’t a person. 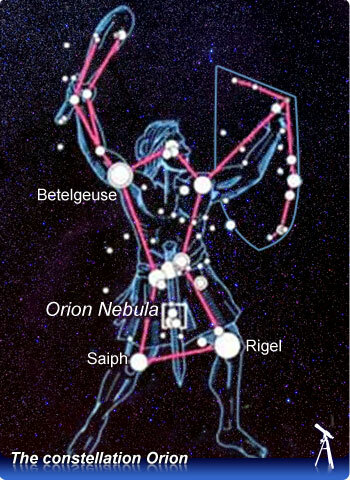 It is presently a red supergiant star in the Constellation of Orion. 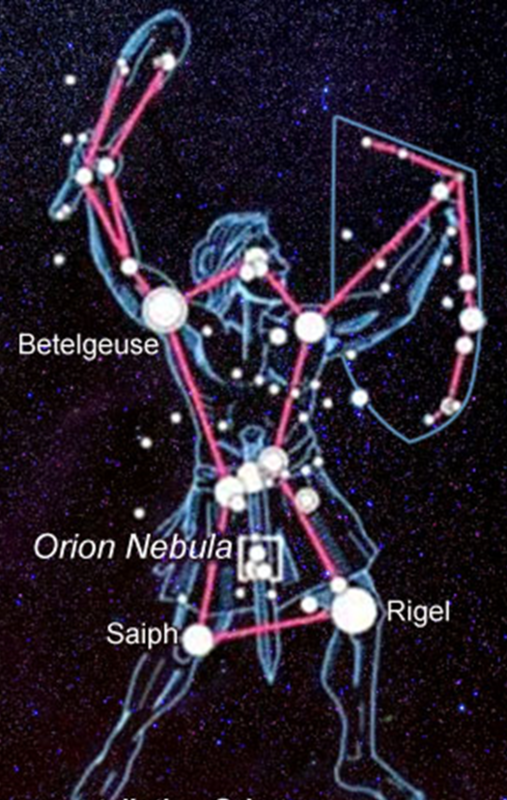 The name, Betelgeuse, comes from the Arabic, Ibt al Jauzah, which means Hand of Orion. 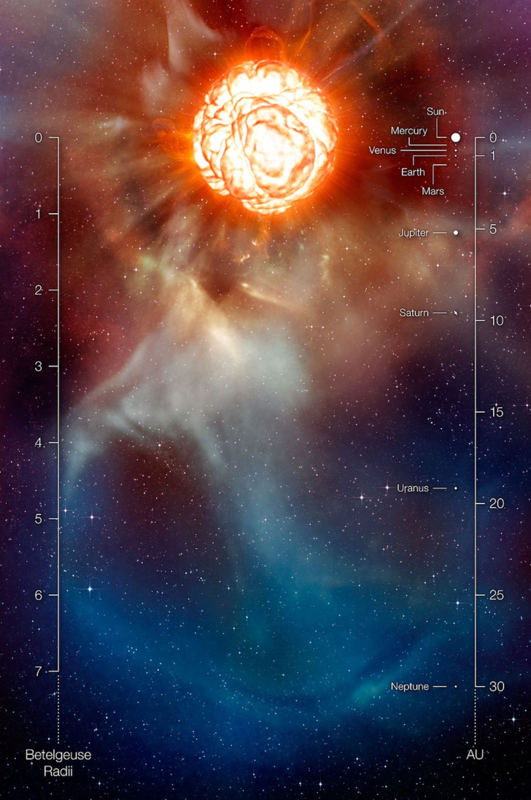 This is where Betelgeuse is located. Betelgeuse is presently dancing with death. When its final act on the cosmic stage of astronomy occurs, it will become a supernova and die. Interestingly, Sir John Herschel was the first person to notice that Betelgeuse would dim and then over time become brighter. Betelgeuse’s astronomical unit (AU) is 30. A unit is the distance between the Earth and the Sun. Regardless of being in its death throws, Betelgeuse is a big star. It is 900 times the size of our Sun. 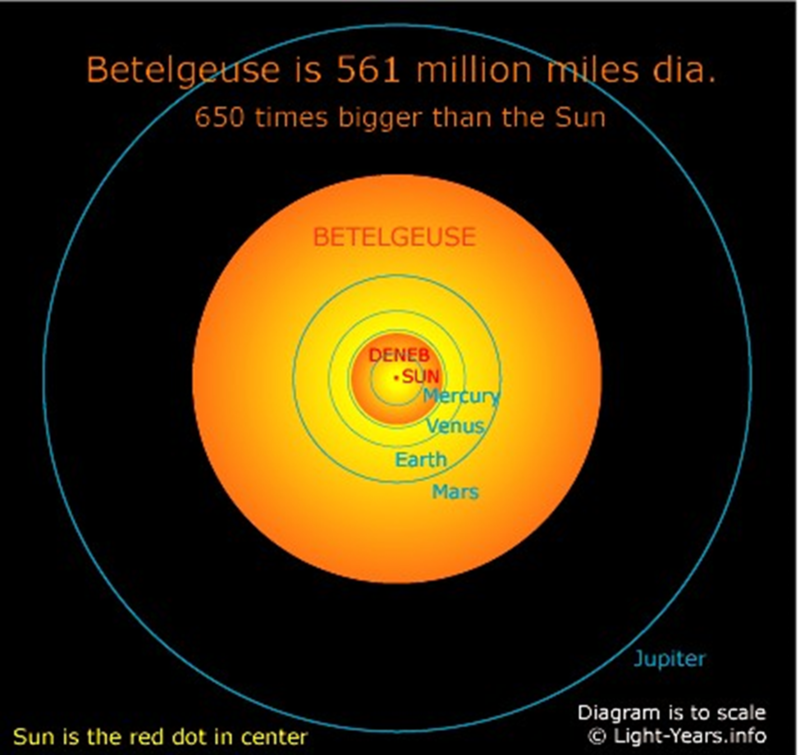 If you compared Betelgeuse with our solar system, you could fit it into the orbit of Jupiter around the Sun. Regardless of its massive size, it will die…someday. When stars begin to die, they become red giants. The process continues by creating a red supergiant before becoming a supernova and dying. That seems large to me. To Donald the Dumb, he would see it as fake news. Betelgeuse is interesting not only for its size, but it is a radically asymmetrical star. It’s beginning to self-destruct. The issue is the convection currents of Betelgeuse. This picture shows the convection currents of our Sun and those of Betelgeuse. This is another angle of the asymmetrical star. Along with the bump due to the convection currents, the bump pushes vast amounts of dust into space. Along with the dust particles, gamma rays are emitted when a star dies. Fortunately for us here on Earth, Betelgeuse’s axis is 20 degrees away from impacting the Earth. Instead, what we will see is Betelgeuse change to a blue star 100x brighter than our moon. This will last roughly for three or four months. Then it will go from blue to orange followed by red for about 4 years. By then, it will disappear from Orion. While that is agreed to be the death throws of a giant red to a supernova, what isn’t agreed upon is the death-date of Betelgeuse. The predictions range from soon to a hundred thousand years. I hope that Betelgeuse implodes anytime between now and January 20, 2043. However, we will know sooner of it collapsing in upon itself due to neutrinos that Betelgeuse will send our way. While the death of a star is sad, new stars and planets will be born. 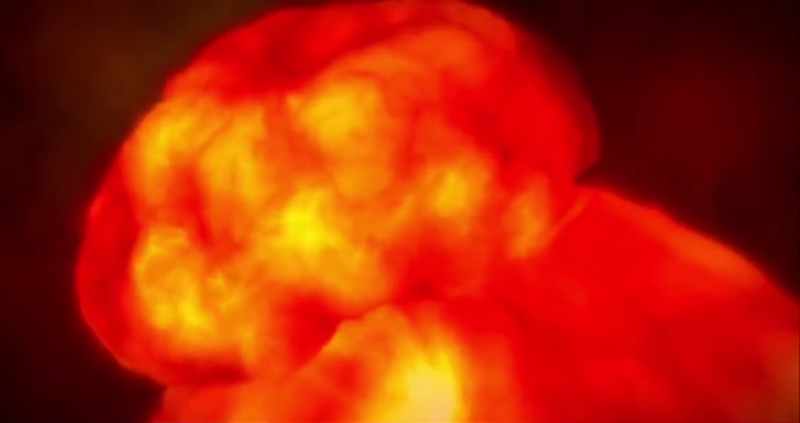 Watch this video, which is the Crab supernova explosion. It will provide a sense of what will happen when Betelgeuse does so. 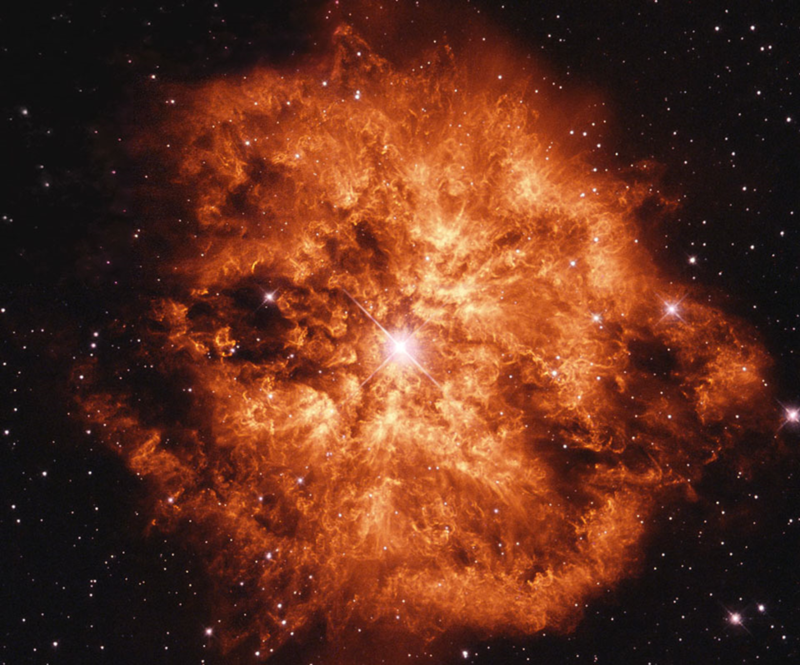 This is the Crab supernova explosion.